If you want maintenance free living in Trinity make sure to see this awesome home and community. 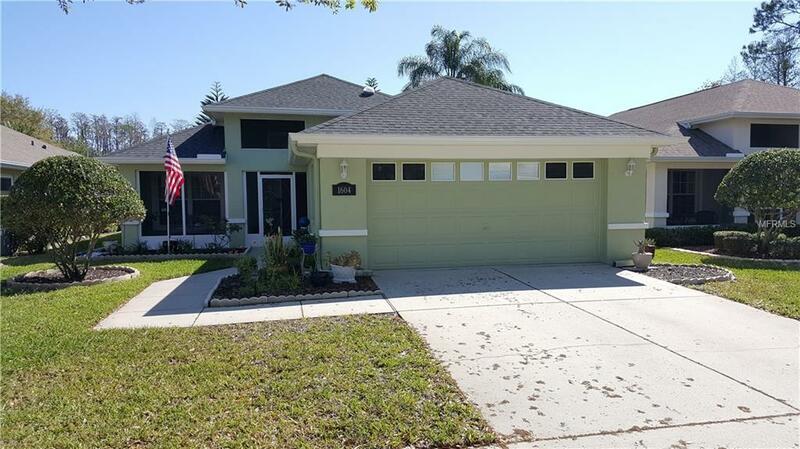 Everything has been done to this spotless home in desirable gated Trinity community. This is a 3 BR, 2 BTH home has many upgrades and is in excellent condition. Since 2014 the house has been painted, new roof,new kitchens and baths, new Trane A/C, new tankless gas hot water heater, new appliances, new tile, Auto screen privacy window treatments in the enclosed lanai and high windows, fully enclosed lanai with separate heat/ac, and ceiling fans/light fixtures. Third bedroom can be used as a den/office. Sweet home ready to move in today. Close to all Trinity new and existing shopping, schools, churches, doctors,hospitals and golf courses. Wyndgate is a quiet gated community perfect for the new home owner or retiree.